Amazon's innovative Silk web browser hasn't left the cocoon yet, but it's already being questioned by members of Congress concerned about online privacy. 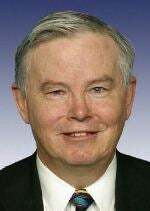 Texas Republican Joe Barton expressed outrage about the browser at a public hearing this week, while Massachusetts Democrat Ed Markey pressed Amazon CEO Jeff Bezos for some answers about what his company will do with the data collected from Silk users. "Every week...we hear some additional outrage about the abuse of the Internet," declared Barton at a hearing Thursday on consumer attitudes toward privacy before the U.S. House subcommittee on Commerce, Manufacturing and Trade. "My staff yesterday told me that one of our leading Internet companies, Amazon, is going to create their own server and their own system and they're going to force everybody that uses Amazon to go through their server and they're going to collect all this information on each person who does that without that person's knowledge," he said.. "Enough is enough." Barton was referring to the split browser mode in Silk that allows the software to do much of its work in Amazon's cloud in order to improve the performance of the device it's running on. There are pros and cons to that approach, but from the moment the technology was revealed as a component of Amazon's upcoming tablet offering, the Fire, privacy concerns have been raised about it. Those concerns were on the mind of Markey when he wrote his letter to Bezos yesterday. "Fire allows its users to visit websites on their personal devices," he wrote. "However, users of the Fire must also use Silk, the browser developed by Amazon to visit those websites. By coupling the Fire with Silk, Amazon can essentially track each and every Web click of its customers. Amazon will know where people shop, what items they buy, when they buy them, and how much they pay." Meanwhile, it's not clear what the subcommittee will do after conducting its hearings on consumer online privacy. While Barton would like to see comprehensive legislation on the issue, the panel's chair, California Republican Mary Bono Mack, appears to be conflicted about the matter. "Clearly, the explosive growth of technology has made it possible to collect information about consumers in increasingly sophisticated ways," she said in her opening remarks at the Thursday hearing. "Sometimes the collection and use of this information is extremely beneficial; other times, it’s not." "Despite everything that I have heard in our previous hearings, I still remain somewhat skeptical right now of both industry and government," she continued. [PDF] "Frankly, I don’t believe industry has proven that it’s doing enough to protect American consumers, while government, unfortunately, tends to overreach whenever it comes to new regulations."